"Honey adds an exciting element to this simple, lightly spiced apple butter." Remove apples from heat. Mash with a potato masher. Stir in the honey, cinnamon, cloves and allspice. Return to low heat and cook uncovered, stirring often, until thick. Transfer to sterile jars and chill in the refrigerator until serving. Double the apples and cut the spices in half. Cook with the lid ajar to allow some of the steam off. Excellent flavor. This is delicious!!! I followed other suggestions and used twice the apples and less spices. 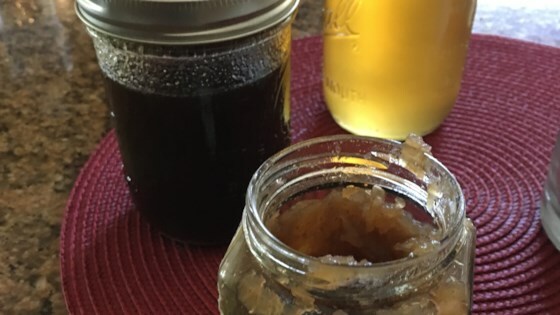 This is the best apple butter honey I have ever had and will taste great in other recipes.